The 2017-18 Premier League season is seven games in and every single contender to win the Golden Boot has gotten off to a flying start. Romelu Lukaku has been on fire for his new club, Manchester United; Sergio Aguero has led Manchester City to the top of the table; Harry Kane tore up September’s list of fixtures to rejoin the race again; and Alvaro Morata has looked just as lively in a Chelsea shirt as the Spanish striker who led the line before him. But who will win the Golden Boot come the end of the season? It is time to explore. Harry Kane once again moved past his August-voodoo and began tearing up the league once September hit for the third year running. The British striker won the Golden Boot last year with a stunning tally of 29 goals in just 30 matches and he’s already bagged 6 in 7 appearances so far this season. Harry Kane has an amazing supporting cast and crew that all cater to his playing style and with one of the league’s top chance creators, Christian Eriksen, playing directly in behind him, the 24-year old is always destined for goals. The trouble for Kane will be staying fit. It seems as though every single season he suffers from an ankle or hamstring injury that keeps him out for at least a month of action. Who knows what insane numbers he could have achieved if he had been fit for all 38 games last season! Harry Kane has rapidly risen to stardom and in the past year has become one of the top strikers in world football. Out of all the contenders, he may be the likeliest to win this season’s Golden Boot. Romelu Lukaku has been on fire since diverting away from the Everton blue and putting on that red shirt, scoring 7 goals in 7 appearances so far for Jose Mourinho’s Manchester United. Lukaku is one of the most complete strikers in world football and scores all types of goals, from long-range efforts to solo goals to left-foot, right-foot and head. The Belgian striker lost out to Harry Kane last season due to the British striker’s late surge of form, but 25 goals in 37 matches for Everton was still fantastic. At Everton, he didn’t have the same kind of support that he does now. With Mkhitaryan, Martial, Rashford and Pogba playing to his style and constantly feeding him balls into dangerous areas, Lukaku will certainly score more goals than he did last season. He’s silenced his critics since moving back to Manchester United, even Jose Mourinho himself who once sold the Belgian striker from Chelsea to Everton. The 24-year old now needs to find a way to handle the pressure of being the top man of a side challenging for the title. If he given deliver with that added pressure, we might see Romelu Lukaku’s name on that Golden Boot trophy come May. No matter the season, Sergio Aguero always scores goals. The amount of goals that the Argentinean has managed to accumulate over such a short time in the league is remarkable and last season became the second fastest player, behind Alan Shearer, to achieve 100 goals in the league. His tally is now up 10 128, putting him in 12th on the all time list. But something has certainly been different about Sergio Aguero’s game since Pep Guardiola became manager of Manchester City. Suddenly, he is no longer the player that the team desperately relies on every single match. Suddenly, he’s not even guaranteed to start every single match. It’s evident that Pep Guardiola trusts 20-year old Gabriel Jesus more than the Argentinean striker and that has to have an affect on Aguero’s psyche. But the 29-year old always finds a way to score goals and if he can just stay fit for a long enough period of time will certainly be right up there with Kane and Lukaku fighting for that title of top scorer. 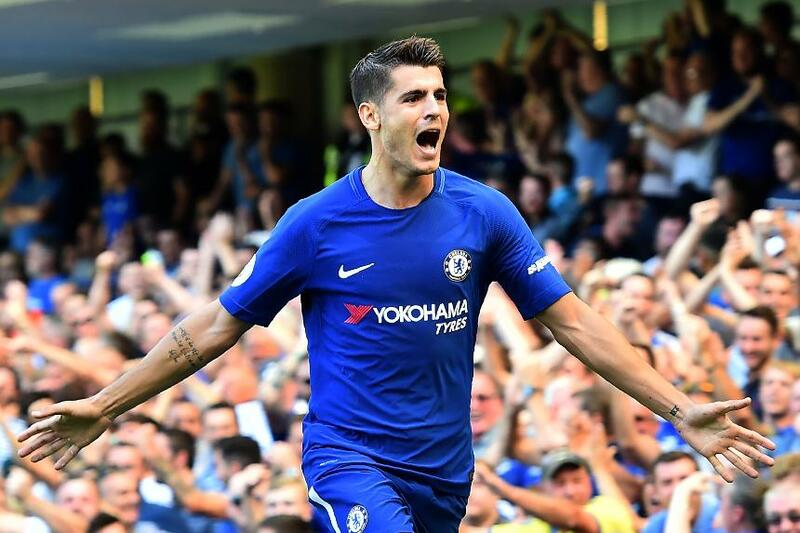 Alvaro Morata has gotten off to a flying start in the Premier League and looks the perfect fit for Antonio Conte’s Chelsea. As soon as Diego Costa announced that he was leaving for Atletico Madrid, Morata went on and scored a hat-trick against Stoke, responding brilliantly to the situation. He’s adjusted to life so fantastically well and has proven that he can score with his head and his feet, netting 3 with his head and 3 with his feet to bring his total to 6 in 7 matches. With Hazard now coming back into the Chelsea lineup, the question now becomes how he reacts. In the opening games of the season, Morata was allowed to be that focal point for the Blues. But now with Hazard, there is a different focal point in the side; someone who wants to get on the ball all the time; someone who is not known for his incredible assist-making. If Alvaro Morata and Eden Hazard can link up well and play to each other’s strengths, Morata could go on to win the Golden Boot in his first season in the league. If they can’t sort things out and get in each other’s way, this may be a difficult season for Chelsea Football Club. Alexandre Lacazette was runner-up for the French Ligue 1 Golden Boot in his final two seasons with Lyon and even won the honour back in 2014-15. The French striker has a knack for scoring goals and even despite the difference in quality from Ligue 1 to the Premier League, he has already proven that he can still make a name for himself in this league. 28 goals was his tally last season and the Frenchman has gotten off to a good start with the Gunners this season, scoring 4 goals in 7 appearances so far. But there are a few problems in Alexandre Lacazette’s quest for the Golden Boot. Firstly, if he were playing at a club like Chelsea that better suit his style, he may already be up there with the Lukaku’s and Morata’s of this league. Arsenal love to knock the ball around and play tiki-taka-esque football, but that’s not really Lacazette’s style. Lacazette plays more off the shoulder, more of a counter-attacking styled game, and a lot of the goals he scores are in the air, a quality that Arsenal seem to only cater to when Olivier Giroud is on the field. In continuation, Arsene Wenger has consistently taken Lacazette off before the end of matches. Undoubtedly, this has frustrated the Frenchman who is the type of lively, energetic forward that is able to score many of his goals when the other players on the field begin to grow tired. Being at Arsenal, Alexandre Lacazette probably won’t win the Golden Boot this season. But he’s certainly still a contender. 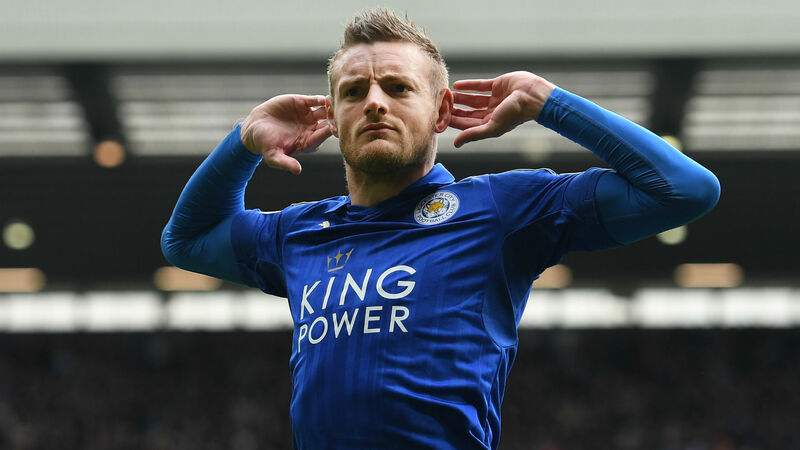 The record breaker of two seasons ago, Jamie Vardy, has looked the part even despite a decrease in service toward him this season. Vardy doesn’t have the same level of finesse as any of the men above, but he smashes the ball so hard that when he shoots, quite often, he scores. He takes penalties, he scores with his head and both feet, and he works so incredibly hard that he creates goals for himself all the time. The biggest problem in Jamie Vardy’s quest to claim that Golden Boot award that he probably should have claimed two seasons ago, is that he doesn’t have that same level of support as any of the strikers above. Maybe he doesn’t need it because of how good he is at creating chances for himself, but if Riyad Mahrez or Danny Drinkwater aren’t having a good day, how is Jamie Vardy supposed to score as many goals as he might if they were in full flow? If he were playing in a side like Manchester United would he still score as many goals though? Probably not. Everything about Leicester City is everything that makes Jamie Vardy so effective and that is why they are a perfect match for each other. If he were to move to a bigger club he probably wouldn’t score as many goals; but at the same time in his current situation at Leicester he just doesn’t have the support to score as many goals as those listed above. Like Lacazette, he is still however a noteworthy contender. As long as he stays fit, the Tottenham man probably has the quality to lead the league in scoring for a second season in a row. His movement, his work rate and his ability in front goal are all practically second to none in the Premier League and with Eriksen and Alli in behind him, he is destined to score in nearly every game he plays in. This season could be a big one for Harry Kane and he is The Mastermind‘s choice to win the 2017-18 Golden Boot. Who do you think will win the award? Comment below to share your opinion!